As an Arizona resident interested in becoming a behavioral therapist, you should know that you have a lot of options as to where and in what capacity you will work. Qualified behavioral therapists in the state can choose to work in private practices, in hospitals, in the school system, in the court system, in rehabilitation facilities or halfway houses, or they can even open their own psychological practices. Of course, in order to do any of these things, you have to have the right combination of education and experience. While this is difficult to come by, it is possible for anyone who is willing to work hard to reach his or her goals. The first step in becoming a behavioral therapist is, of course, to pursue a higher education in the field. For those just getting started on their educational paths, it is important to choose an accredited college or university at which to earn an associate’s degree or a bachelor’s degree. Those who plan to earn an associate’s degree should do so knowing that they will need to transfer their credits to a bachelor’s degree program in order to use their education in the field. Even those with a bachelor’s degree will find that their career possibilities are severely limited and that it behooves them to earn at least a master’s degree. While a master’s degree program might feel overwhelming and impossible to some, getting into a master’s degree program is usually not as difficult as one might think. Generally, all that is required is a passable score on the graduate record exam (GRE) and at least a 3.0 grade point average as an undergraduate. These are just average requirements; some colleges or universities may have higher or lower standards that must be met for admission. Also, be aware that master’s level programs are designed with working adults in mind and are generally not as time consuming as undergraduate programs though the work is more difficult and more focused. Those who have earned bachelor’s degrees in unrelated fields will be happy to know that many master’s level programs do not require a related undergraduate degree for admission. In fact, some colleges and universities see it as a real bonus when students come from diverse educational backgrounds and seek to admit these students to their programs whenever possible. So, be sure to check out several different schools and options before resigning yourself to starting back at square one and pursuing an entirely new undergraduate degree. The highest level of education you can obtain as a behavioral therapist is a PhD, also known as a doctorate degree. This degree program, which is usually completed in about five years, is intense but trains you to do basically anything within the field. Those who earn the highest salaries and who hold the most prestigious positions are those who have PhDs. While this high level degree will not be for everyone, it is definitely recommended for those Arizona residents who are serious about success. 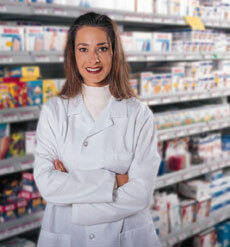 If you have ever been prescribed pain medication your physician may have discussed the dangers of becoming dependent. Drug dependency is different from developing a drug tolerance. When it concerns the drugs ability to maintain a therapeutic effect, the tolerance level is under question. If the physician is concerned about the psychological or physical dependence that a drug can create, drug dependency and addiction is a serious concern. Patients who develop drug dependency most often are dependent on pain relieving medications. If a pain medication is used for too long a dependency can commonly develop. This dependency is usually caused by a psychological need or physical yearning for the drug if it is not taken regularly. 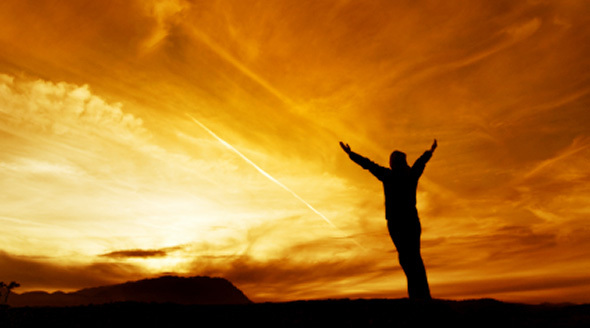 Withdraw symptoms can be very unbearable for people who suffer with drug dependency. Usually a patient who is dependent will not experience any relief from withdraw symptoms unless a dose of the drug is administered. Patients who become tolerant to a specific dose or type of medication no longer experience a therapeutic effect from taking the medication. This can happen if the body adapts to the prescribed level of drug. Body tissues contain receptor sites that can become tolerant of a drug. When this happens the only way to reverse the tolerance is to increase the concentration of the drug. However, the dose may have to be increased regularly. Drug tolerance has a metabolic effect on the body. When a drug becomes tolerant it is sometimes refereed as to as having pharmacologic intolerance. If a person is exposed to a drug for an extended length of time then the drug is often excreted from the body quickly. Usually this causes a lower concentration of the drug in plasma. The most common method for detecting if a person has taken a medication recently is to perform a drug test. Drug tests are routinely used by businesses, government agencies and healthcare facilities to screen prospective and current employees for drugs. Blood tests provide the most accurate results for overdoses or poisoning. The extent of an overdose can be determined and the best treatment options can be administered with the information obtained from a blood test. Urine tests are commonly used to detect that may have been used days or weeks before the test. 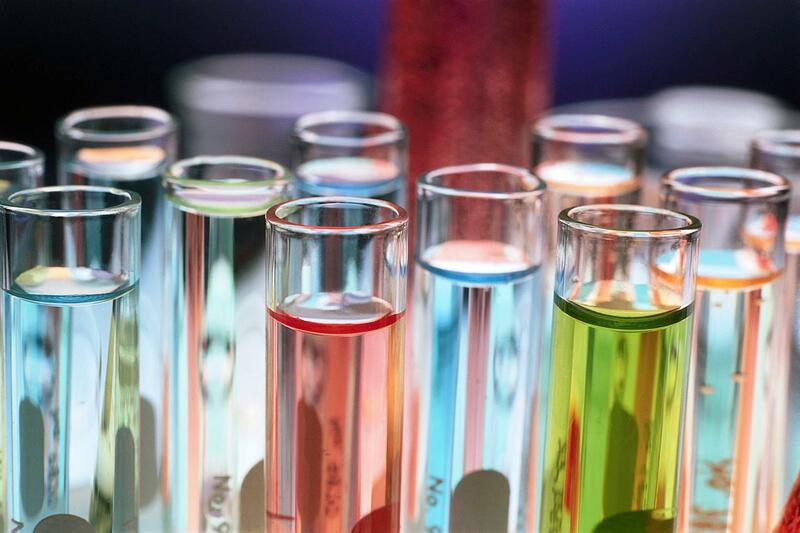 Urine tests are not as accurate as blood tests. There is a chance that a false negative or false positive result can occur if the patient takes certain prescription medications or herbal supplements. A patient should be asked to disclose any prescription medications, herbal remedies or over-the-counter medications. If a urine test comes up positive for drugs the test should be retaken for that specific medication. Retaking the test will help to confirm the results and will help to identify a false positive result that might have caused the first test to test positive. A blood test can be done to determine if a drug was used recently or how much of the drug is in the system. Marijuana- A single use can last from 3-5 days, chronic use can last up to 29 days. How you view yourself, other people and the world around you has a major impact on your ability to be happy and successful. As humans, we have a natural tendency to focus on negative aspects of our lives and ourselves. We are always aware of shortcomings, and perceived obstacles. But often we don’t take the time to count our blessings and see the good around us and in us. If I take the time to count our blessings and see the good around us and in us. If I asked you right now to give me your five greatest weaknesses, you’d probably be able to rattle off at least five without much thought. If I asked for three of your strongest points, most of you would be at a loss for words or you might reply, “just give me a second and I will think about that.” Why? because the negative stuff is right up front in your mind and ready to roll, while the positive stuff gets buried in the back. Because focusing on the negative comes so naturally to us, it’s actually much easier to be negative and unmotivated. So it takes work to get and stay positive and motivated. But believe me, it’s worth it, because when you focus on the positive, it will become your reality. Negative influences in our lives surround us. Some people will tell us that you can’t do something. Sometimes we even tell ourselves the same thing. Se hall have negative tapes playing in our head telling us that we are too old, too young, not smart enough, not experienced enough, and so on, to be able to do something. Unfortunately, there’s no off button on these tapes, but you can turn down the volume. You have the power to create your own positive reality. Although all psychologists agree that people change over time, they disagree considerably over how to conceptualize those changes. One group sees us as changing gradually with age,; the other school or thought sees people as going through a series of abrupt changes from one stage to the next. Those who see gradual changes generally lean more toward a “molding” view, by which they interpret behavior as gradually changing, mostly because of increasing experience. Those who see stages in development typically lean toward a view in which behavior “unfolds” over time, largely due to biological maturation. Stage theorists believe that the changes occurring from one stage to the next make children qualitatively different (in “kind”) rather then quantitatively different (in “amount”) from how they were at a previous stage. When a child learns to use simple words to express him/herself, for example, she has changed qualitatively; that is, she/he has become different from the kind of child she was when she could not use language. This qualitative change opens up new experiences and possibilities. Although stage theorists believe that changes take pace qualitatively, they also believe their are changes that occur quantitatively during each stage. An example of this would be, once a child learns a few simple words, she/he will progress for awhile by learning more simple words before the next process of speech occurs which would combining words syntactically. As a speech therapist, or any therapist for that matter, it is crucial to understand different levels and theories of stage development. We will be looking at Stage theories and development of babies, to children, to adolescent to adult in the up and coming blogs. Ulcers were once thought to be caused from stress, too much stomach acid or from eating spicy foods. Then not that long ago doctors determined that ulcers were caused from the bacterium Helicobacter pylori and not by spicy food, stomach acid, or stress. If you consider the body and how digestion works, it is important to recognize that our emotions can directly affect our digestive abilities. If you are extremely stressed, angry, or depressed your body does not produce adequate amount of the important stomach acid, hydrochloric acid. Without enough of this stomach acid, bacterium such as Helicobacter pylori, which very easily enter the body are not destroyed and are able to live and multiply in the digestive tract causing ulcers. Perhaps you have heard that ulcers are caused by too much stomach acid. This is actually quite the opposite case. When the right amount of stomach acid is produced and the full force of the digestive process takes place the pyloric sphincter will close. If not enough hydrochloric acid is produced the pyloric sphincter is not stimulated to close completely and the digestive acid is able to enter the esophagus causing heart burn and acid reflux. Stomach acid is able to maintain a pH between 2 and 5. The lower the number the more acidic the stomach acid is. Should the stomach acid begin to become more alkaline or move toward 5 on the pH scale, the chances of gastric secretions causing mucosal damage increases. This is because the digestive enzyme pepsin is activiated at pH 2. A decrease in acidity to pH 5 causes a decrease in pepsin which directly affects digestion. Peptic ulcers can be prevented by maintaining an appropriate stomach acid pH, which helps the body to destroy bacteria that cause ulcers. Poor stomach acid can also cause a person to become sick. If bacteria that enters the digestive tract is not destroyed in the gut the bacteria will continue through the body’s organs and tissues. The lymphatic system will be left to destroy the bacteria. If the lymphatic system is not strong or if the lymph is not circulated bacteria will settle in and cause sickness and disease. Digestive strength really is important to your overall health and well-being. Good digestion can keep you feeling good and looking good, expecially if you choose to eat foods that are beneficial for your body. The first month home can be especially difficult for mothers. The physical recovery from pregnancy, labor and delivery can be a slow process that often takes six to eight weeks before you begin to feel normal again. This is especially true if you had an episiotomy or C-section. You will not be able to do much until your incisions have healed. During this time, you may also experience strong mood swings that are caused from changes in the amount of hormones in your body. You may experience sudden crying episodes for no reason, mild depression for several weeks, frustration and irritability. These feelings can be intensified if you are exhausted. Most of these emotions following delivery are called “post partum blues.” You may feel like you are a “bad mother”, like you are going a little “crazy”, or embarrassed by your uncontrollable crying episodes. During this time, keep in mind that these types of emotions are normal after pregnancy and delivery. Too keep these emotions from taking over your life, spend time with family and friends, avoid isolating yourself and get as much rest as possible. If these feelings persist for more than a few weeks or become severe, contact your physician. Being around friends and family can help to chase the blues away. This is especially true if friends or family offer to cook you a meal or help you to clean your house. Assistance with these basic daily demands can really help to lighten your physical and emotional burdens. However, sometimes too many visitors can be exhausting to you and overwhelming to your baby. Visitors can also expose your baby to infection. To prevent your baby from getting sick, limit the number of visitors during the first couple of weeks and always keep anyone that is sick away from your newborn. The first month home with your new born baby should be the time for you two to bond, rest and recover. Be patient with your body as it goes through adjustments and enjoy this time with your infant. The peaceful quiet hours when she sleeps during the day will not last forever. There are three main types of anesthesia that are used my healthcare providers. Topical anesthetics, local anesthetics and spinal anesthetics are commonly used for their specific purposes. Topical anesthetic agents are usually solutions, liquid sprays, ointments or gels. These types of anesthetics are either applied to the mucous membranes, broken or unbroken skin, and burns. When used topically, these types of anesthetics can decrease the sensitivity of nerve endings in an affected area. The first topical anesthetic agent was used for face and scalp lacerations. This specific agent was a combination of tetracaine, adrenaline and cocaine (TAC). The most well known topical anesthetic is EMLA. This anesthetic is often used to anesthetize an area of skin before IM injections, venipuncture, and sample skin procedures. Local anesthetic agents are used for their ability to block pain where ever the medication is administered. This type of anesthetic does not affect the patient’s consciousness. It is often used by dentists for dental procedures, by physicians to suture skin lacerations, and for short-term surgery. It can also be used as a spinal anesthesia to block nerve impulses in the area below where the anesthetic is inserted. The two groups of local anesthetics are divided based on their chemical structure. An ester is one group of local anesthetics that is formed by the reaction of an acid and an alcohol. Amides are the other group of local anesthetics that are fromed by the reaction of an acide chloride, acid ahyhidride, or ester with an amine. Both of these groups are chemical compounds. Between the two groups, the amides are less likely to cause allergic reactions. Spinal anesthetic agents are local anesthetics that are injected into the spinal column at a specific region of the neural block. Administering this anesthetic in the wrong location can have some negative effects. If it is given too high, the patient’s respiratory muscles could become distressed or fail. Anesthetic agents slow down the central nervous system and ultimately cause a loss of consciousness. There are two classifications for these types of agents. An anesthetic can either be considered general or local. In the early 1800’s anesthetics were used in surgery in the form of nitrous oxide. This form is still commonly used today in dental offices. Several anesthetics that were used by the mid 1800’s, like chloroform and ether, are either hardly used or are no longer used in modern medicine due to the health problems they have been associated with. A general anesthetic is primarily used for surgical purposes. A specialized healthcare provider must be trained to administer general anesthesia. 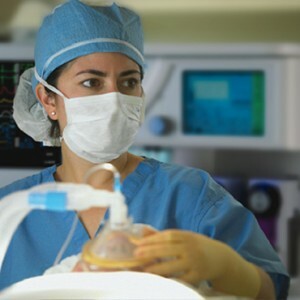 Only an anesthesiologist or a nurse anesthetist can administer this type of anesthesia, which is usually inhaled through a mask or breathing tube. A general anesthetic can either be one pure form of a medication or a mixture of medications. An anesthetic that consists of a mixture of medications is called “balanced anesthesia” and is only administered depending on the patients health, medical history, age, weight and known allergies. A balanced anesthesia is often used on patients who may have cardiovascular problems and is often administered in phases. It is also used when less general anesthetic is needed or to reduce potential post-anesthetic nausea and vomiting. A balanced anesthesia is also gentler on organs and is often easier for patients to recover from with fewer adverse side effects. 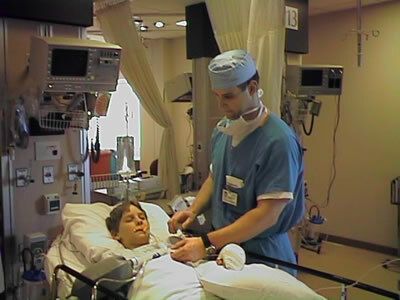 A patient that is preparing for surgery is often given a hypnotic drug to be used the night before the surgery. This drug is administered to help the patient get a good night’s sleep. On the day of the planned surgery, the patient may be given several other premedications. These types of drugs are generally used to help decrease anxiety and sedate the patient. The anesthesia can be administered as an inhaled gas or through an intravenous tube. 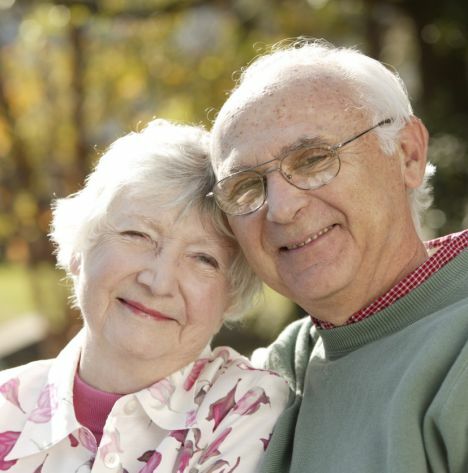 We associate aging with many health conditions. The human body naturally declines with age. Almost every body system will show signs of deterioration. The nervous system is just as susceptible to ageing as the cardiovascular or renal systems. For the nervous system, age can affect certain areas of the brain causing them to loose as many as 45% of their cells. This can result in a 6% to 7% reduction in brain weight. Should the vascular system become slow with age, blood flow to the brain will also decrease. An increase in blood pressure will be needed to achieve and maintain adequate brain blood flow. Should blood pressure fall, the brain may not get the necessary amount of blood and the patient may become dizzy, syncope, or confused. Aging is also attributed to causing a decline in brain activity which is related to the number of functioning brain cells. It is common for elderly people to have slower message relaying in the nervous system from aging. In most instances, these age related hindrances are not likely to cause any serious debilitation. Elderly patients who suffer from acute neurological disorders may experience seizures, strokes, transient ischemic attacks, vertigo, dementia, and delirium. Most seizures that elderly people experience are caused by problems with the central nervous system and is not typically associated with epilepsy. Most first-time seizures are caused from a previous stroke. Strokes can often cause “scar” tissue in the brain. This type of tissue growth can interfere with the brain’s electrical impulses. Other potential causes of stroke include recent or past head trauma, tumor, alcoholic withdrawal, diabetic hypoglycemia, or a new stroke.